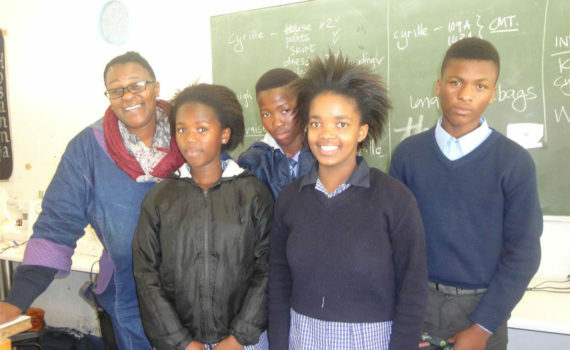 Eighteen students at the Masiphumelele High School signed up to learn sewing skills at Evangeline when offered them the chance. They are learning fast under the superb teaching of Namgamso, our Sewing Instructor. I met a few of them and it was heart-warming to see them working on the same sewing machines used by our Life Skills women. I asked them about their future hopes. They have big dreams! they want to be lawyers, teachers and engineers. They love Math and they want to “make a lot of money.” All of them were eager to learn new skills and sewing offered them a chance to learn to design and sew their own clothes. 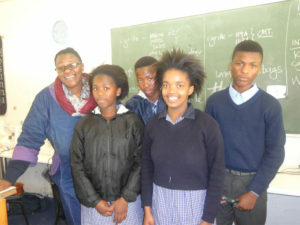 One said, “I want to “open my own business.” Who knows what will happen but we are so pleased to partner with the high school in this venture and we pray for these young ones a life, far better than they now experience in the township.